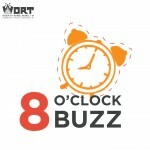 On Tuesday, April 16, 2013, Aaron Perry invited Mariah Janisch, personal trainer and health expert, back to the 8 O’ Clock Buzz. This week the two talk about Polycystic Ovary Syndrome. The syndrome is a condition in which women have an imbalanced of hormones, which may lead to ovarian cysts, trouble getting pregnant, and other health concerns.